Sage... great for your garden and wonderful for your health! | The garden! Sage is an easy herb to grow but has so many beneficial uses! Ancient Egyptian women drank sage tea as an aid to fertility. In ancient Greece it was used for healing and as an anti-bacterial agent. Those anti-bacterial properties have made it a personal deodorant in some cultures. And, of course, it’s widely used in cooking! So easy to grow and so beneficial! 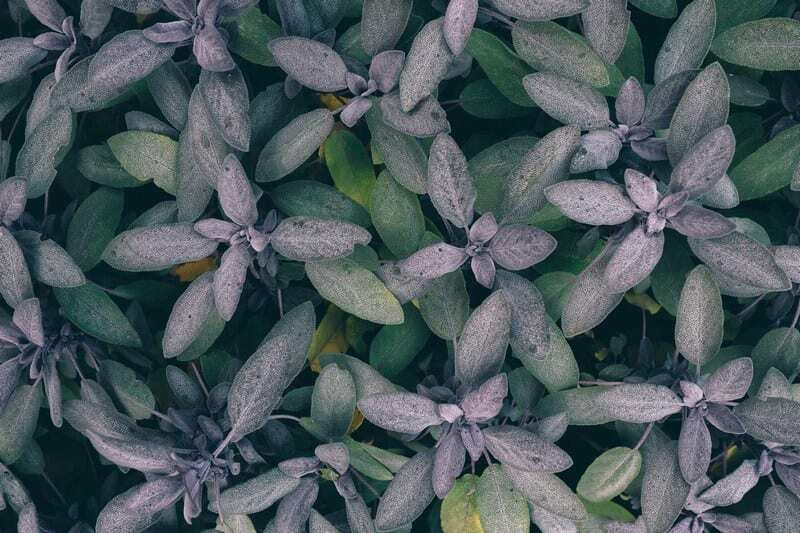 You can grow sage outdoors in most climates or in a pot if your winters are too harsh. In fact, because it loves good drainage, it’s a perfect ‘pot plant’ in any climate. A perennial herb, you can grow it from seed or cuttings or just pick up a tub of seedlings from your local nursery. There are different varieties best suited to different uses – ornamental, insect repellant, culinary or medicinal. Look for the genus Salvia. Salvia officinalis is most commonly used in cooking while Sage Sclarea is the variety typically used in pharmaceutical products. Sage oil has been shown to help in many conditions including:. Sage oil is a natural antidepressant with adherents claiming the oil can relieve anxiety and can boost mental strength and self-esteem. The oil is an anti-convulsive and can aid in the prevention of repetitive convulsions. Research shows that it can be beneficial id the treatment of epilepsy as the oil acts a mild sedative capable of relaxing tense nerves. Sage oil is an antispasmodic. It has been used to treat sudden involuntary muscular contractions or convulsive movements. It works by relaxing and reducing nerve impulses. As such it is effective in controlling cramps. Sage oil is an effective antibacterial capable of killing both bacteria and fungi. It has been shown to be beneficial in the treatment of bacterial infections of the digestive, urinary, and excretory systems. Because sage oil is antiseptic, it can be applied to wounds to prevent the risk of infection. Sage oil acts as an aphrodisiac! It does so by increasing testosterone levels which can, in turn, increase sexual desire in both men and women. Sage oil has even been used to treat impotency. You can grow sage from seed, cuttings or just buy some seedlings from your local nursery. Sage oil is an astringent and tightens skin so that you both look and feel younger. Some people find that commercial deodorants cause skin rash. Others just don’t like ‘what’s on the label’. Sage oil is a natural deodorizer due to its anti-bacterial properties. BTW, another fabulous herb for your garden is lavender. It looks great, smells even better, will keep mosquitoes away and also has many medicinal uses.